Japan allowed one.. ONE ruling in a family custody-by-abduction case based on decency and parent-child dignity… And then reversed it in the Supreme Court. Insane, vindictive, hostile, & crude. And heart-rending cruelty. “One can no longer entertain the myth that the Japanese family court and family law system of “custody attained by child abduction” and “state-sponsored child abduction” is a matter of its practitioners being misguided, misinformed, or having failed to understand the character and reasoning underlying the global standard; nor can it be held that they do “not yet” possess the knowledge that comes down to us through the fields of child psychology, developmental psychology, and such ailments as narcissistic and other types of personality disorders. It is clear that the State here favors the most vicious possible treatment of children and parents, and deems them unworthy of rights and most of all of protection of those rights. One can only hope that the case is not killed off by this ruling, and that further avenues back to the Supreme Court will be found in order for children and parents’ rights to finally be protected by Japanese law. But there is a long way to go, and much more suffering ahead. 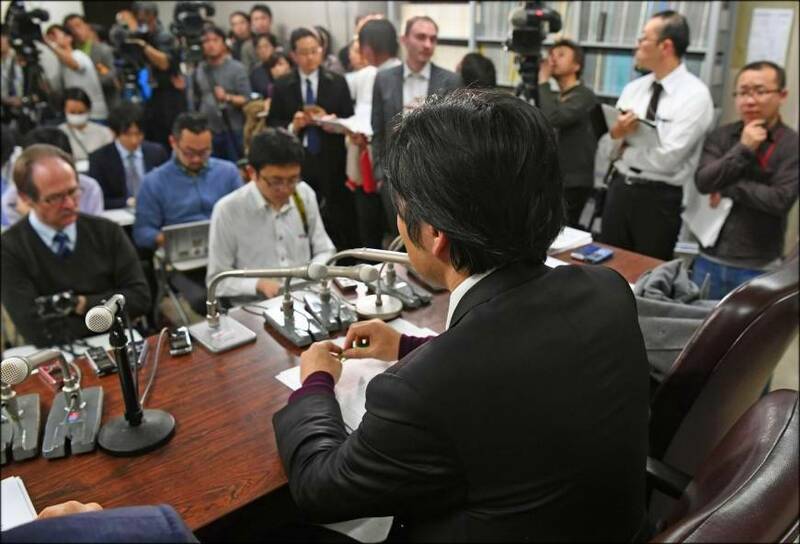 A father whose custody for his daughter was denied by the Tokyo High Court speaks at a news conference in Tokyo Thursday. A chance to enter humanity averted.